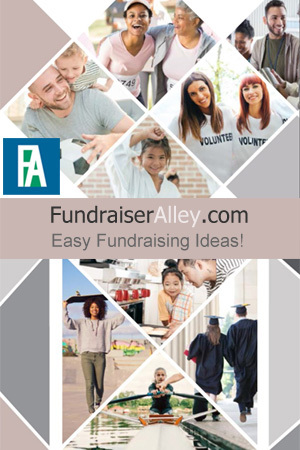 Custom Eye Black is a fun idea for sports team fundraising! 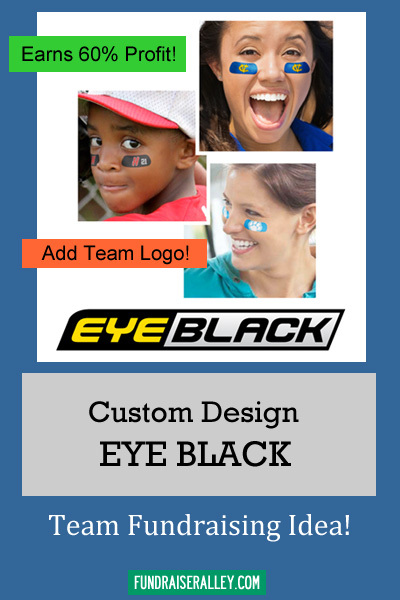 Eye Black can be customized with your school or team name or logo. There are 2 package choices: The Home Run Package contains a classic insert and the Grand Slam Package has a custom insert. Both packages contain 2 pairs of peel & stick eye black (4 strips). This Eye Black is made of breathable material and has been tested as safe. Sell for only $5.00 per pack and earn a 60% profit. At this low price, sales will be high! We recommend Custom Eye Black for any sports team! Call 1-866-826-0944 to order or for more info. 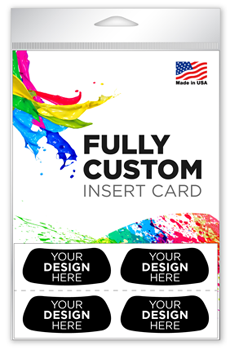 Call us (1-866-826-0944) for more information about this product or to order. 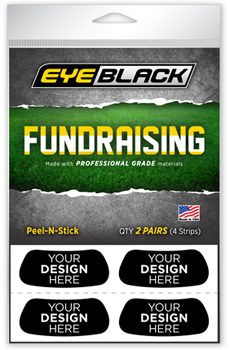 Custom Eye Black is a great fundraising idea for any sports team. 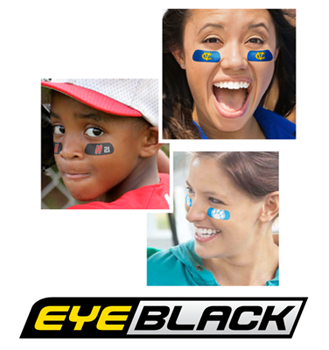 Fans will love wearing eye black to support their team and show team spirit. The cost is low, so sales will be high!